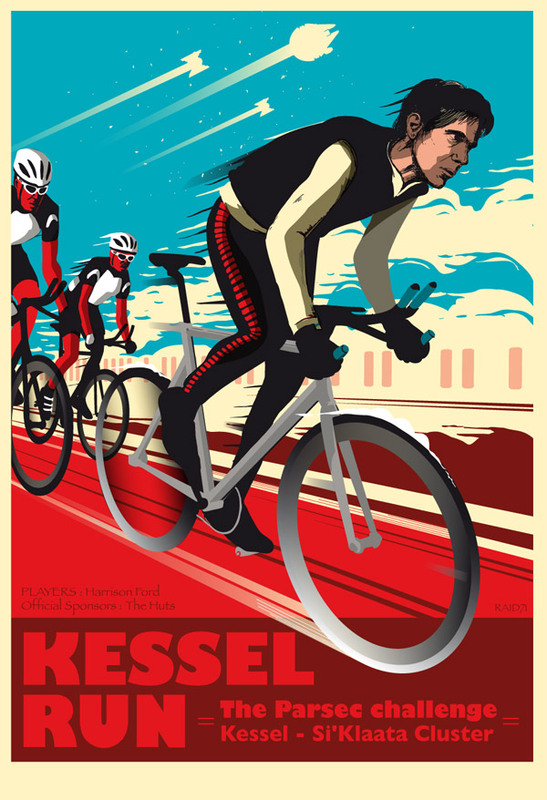 I’ve a couple of bits based around the Millennium Falcon, Han Solo and cycling and here’s a new one. 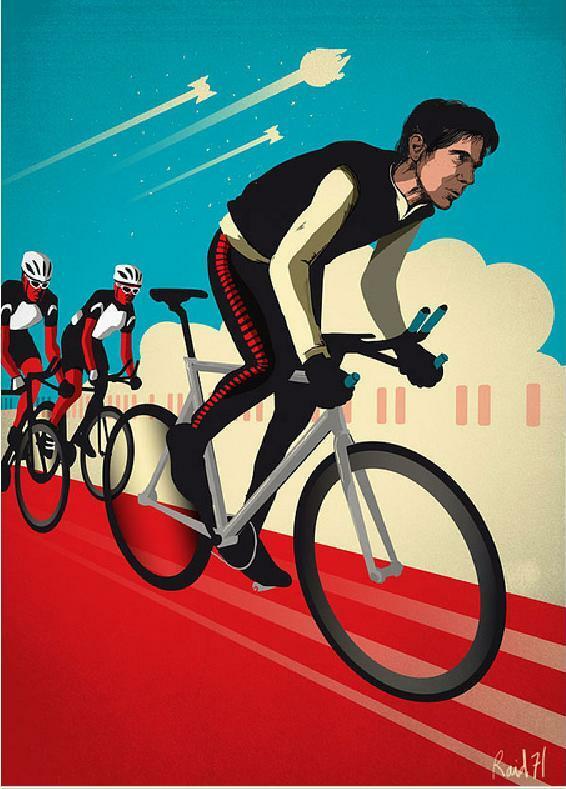 Theresa has let me know of this picture by Raid 71 (AKA Chris Thornley) showing Han Solo in a cycle race. The Millennium Falcon’s in the back there. It’s not up yet, but hopefully soon. (I’ve sent a messsage and will post a link as soon as it’s up.) Chris has made some amendments to the original image and this is the final version. The print’s available here for $35. This entry was posted in Art, Things that i don't have yet... and tagged Art, Chris Thornley, Han Solo, Millenium Falcon, Millennium Falcon, raid71, Star Wars, The Kessel Run. Bookmark the permalink.